This week, our children made potions using the mud. This gave them the opportunity to problem solve as some of our children tried to thin down the texture of the mud. They found that if they added water, the mud would become liquid like. We took tweezers and added bits off loose objects to our potions to give them the magical finishing touch. Our children play collaboratively in the mud kitchen. We had another group of children make an array of foods, including chocolate cake and even risotto! We took turns and also rode the friendship swing together. Our long swing relies on cooperation and team work to make it work. Our children help one another get onto the swing and then help push the swing around in a circle. Our little chefs and helpers tried their hands at gardening. Our children practiced using rakes, spades and recycling bags in our garden plot. After we left the garden, some children watched the diggers re-lay the path at Chiswick House and Gardens and questioned what was happening, while others figured out the best way to roll down the leafy verges. In our creation station this week, we made our very own riding horses. 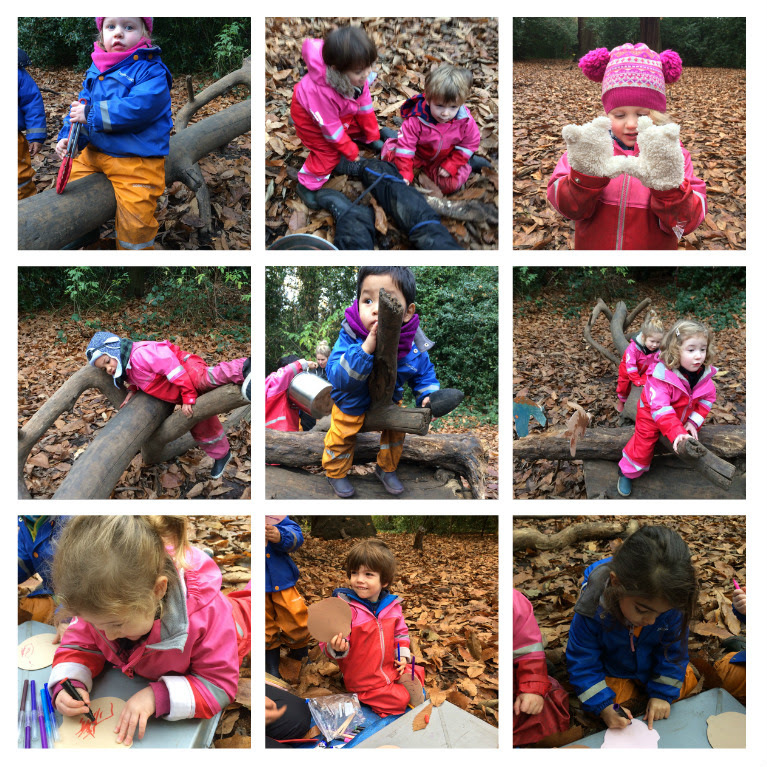 Our children searched around the forest looking for their perfect horse riding sticks. Once they had found their sticks, they painted the head of their horses and stuck them on. We role played for hours using our horses and named them all. We had one horse called Mustang and another one called Ferrari. 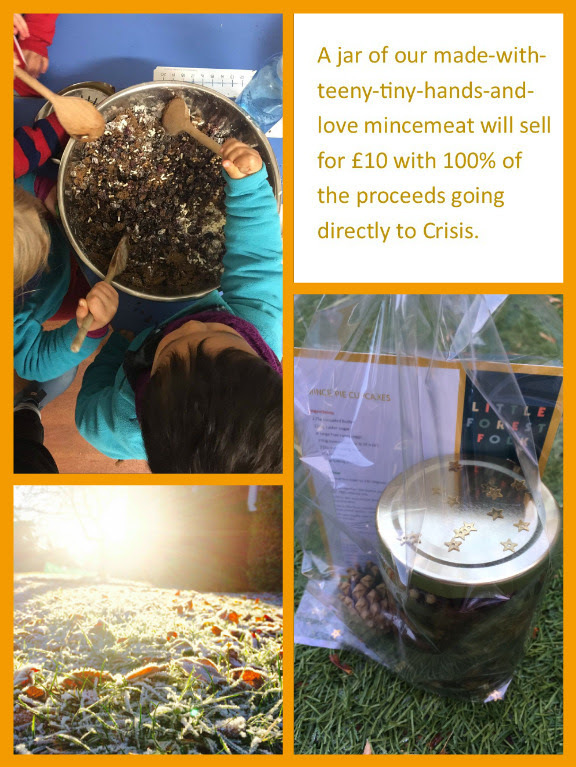 There's still time to reserve your jars of mincemeat via our Justgiving page! Jars can be collected from our little stall at Chisiwck house and gardens cafe on Thursday 15th December 1-3pm. We have been busy planning for our Christmas Forest Party on Monday 19th December and look forward to seeing you there! Please do all note that Little Forest Folk will be closed on Friday 6th January for an inset day which is a time for planning and essential staff training. Keep those ears and little fingers toasty in hats and gloves. Only 16 sleeps until Christmas!